Seriously designed for enthusiasts, the Cressi Gara 3000 Grey LD Fins come with soft blade for high performance. These fins require less muscle energy for desired kicking. For long distance dive, the LD fins ensure less leg fatigue. Seriously designed for enthusiasts, the Cressi Gara 3000 Grey LD Fins come with soft blade for high performance. These fins require less muscle energy for desired kicking. For long distance dive, the LD fins ensure less leg fatigue. Cold water divers will also find the Cressi Gara 3000 Grey LD Fins best for their lightness and flexibility. Whether you are an experienced diver or have no experience, the performance characteristics of Gara 3000 Grey LD fins offer 100% Satisfaction Guarantee. 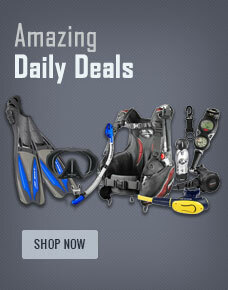 Buy Cressi Gara 3000 Fins from Divers Supply at the best price. Cressi Gara 3000 Fins comes with full Manufacturers warranty because Divers Supply is an authorized dealer for everything we sell.